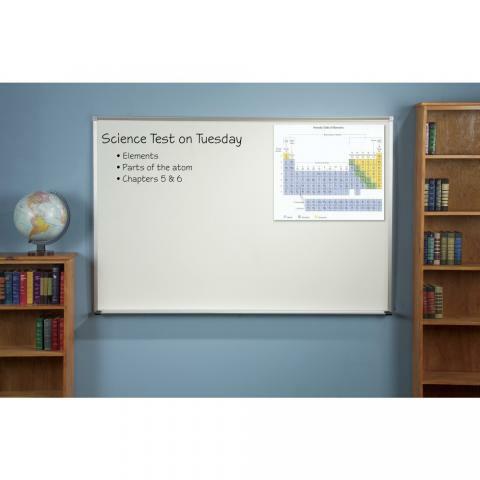 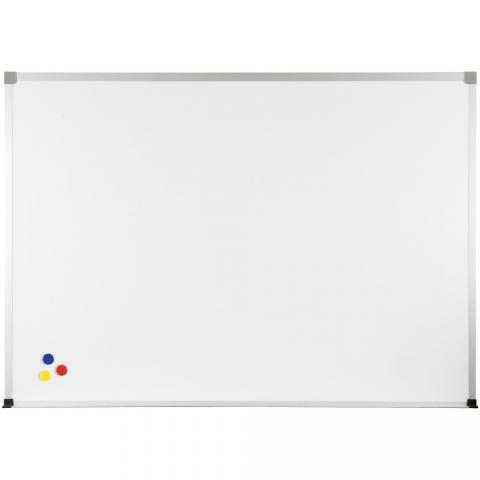 White Magnetic Board for the Classroom! 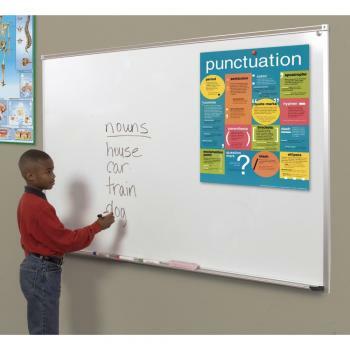 This White Board is made of magnetic PVC Coated Steel and doubles as a magnetic bulletin board. 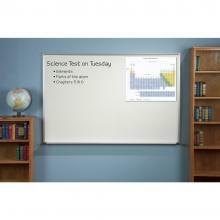 It is trimmed in durable anodized aluminum and includes a full length white board accessory tray. Safety end caps are included to cover sharp edges and corners. 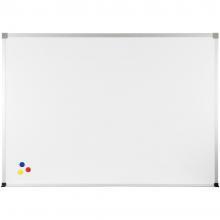 Choose your white board size.